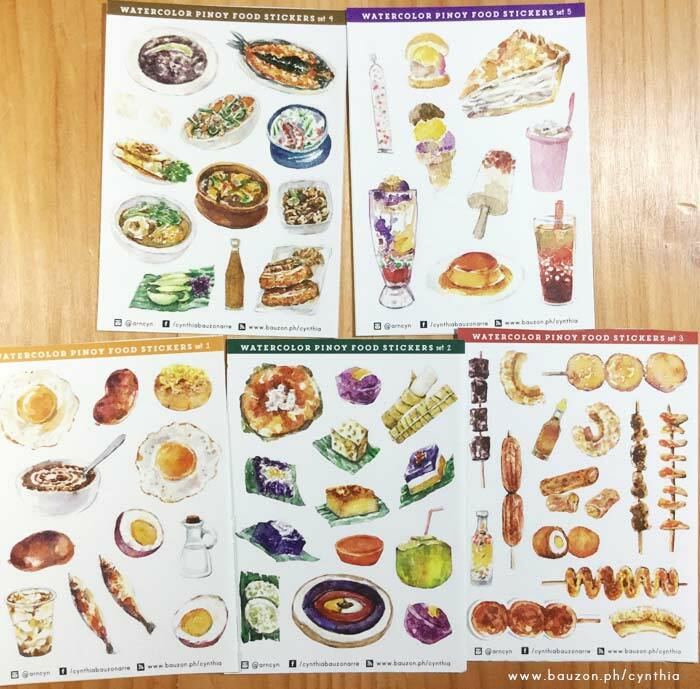 Pinoy Food Stickers, Awit Awards, and other Updates | Cynthia, inside. If you’re interested in these stickers, they are available online at my shop and at Hey Kessy (UP Town Center) and Common Room (near Katipunan Ave cor. Dela Rosa St. QC). 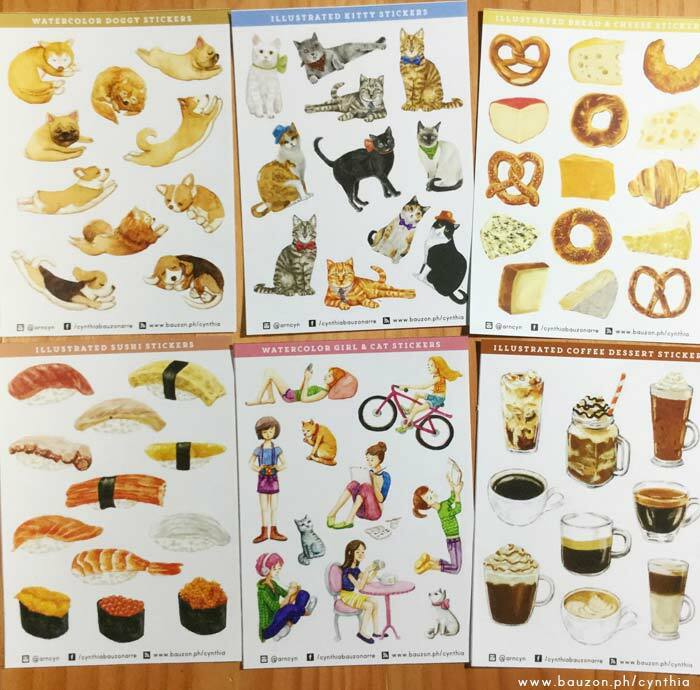 Other designs available are the following: dreaming dogs, smartly-dressed cats, bread and cheese, sushi, girls & kitties, and coffee. Each one is die cut for easy peel-off and size ranges from .5″ to 2″ — perfect for your planners and journals, yes? These can be purchased online from my shop too. In-the-making / painting photos are on www.instagram.com/arncyn. 1. My design for Callalily’s album “Greetings from Callalily” won at last yeat’s Awit Awards for Best Album Packaging. I was in Tokyo when the guys sent me a Viber message so I couldn’t attend the event but it was such a pleasant surprise because I completely forgot about the nomination hehe. It’s my sexond Awit Best Album Packaging Design Award — the first one was for the Eraserheads’ “Fruitcake” in 1997 — 20 years ago OMG. Who knew. 3. I’ve also had two on-the-spot-portrait sessions since 2017 rolled in — one was at the BGC Art Mart and the other one at Hey Kessy’s Valentine Pop-Up. Tin of Hey Kessy took a video while I was at work (below). That’s all for now. I promise to update more often this year!